Treatment of mild to moderately severe infections due to penicillin V sensitive micro-organisms. Therapy should be guided by bacteriological studies ( including sensitivity tests) and by clinical response. Note: Severe pneumonia, empyema, bacteraemia, pericarditis, meningitis and arthritis should not be treated with penicillin V during the acute stage. Indicated surgical procedures should be performed. The following infections will usually respond to adequate dosage of penicillin V: Streptococcal infections( without bacteraemia). Mild to moderate infections of the upper respiratory tract, scarlet fever and mild erysipelas. Note: Streptococci in groups A,C,G,H,L and M are very sensitive to penicillin. Other groups, including Group D (enterococcus) are resistant. Pneumococcal infections. Mild to moderately severe infections of the respiratory tract. Staphylococcal infections-penicillin V sensitive. Mild infections of the skin and soft tissues. Note: Reports indicate an increasing number of strains of staphylococci resistant to penicillin V, emphasizing the need for culture and sensitivity studies in treating suspected staphylococcal infections. Fusospirochetosis (Vincent's gingivitis and pharyngitis)-Mild to moderately severe infections of the oropharynx usually respond to therapy with oral penicillin. Note: Reports indicate an increasing number of strains of staphylococci resistant to penicillin V, emphasizing the need for culture and sensitivity studies in treating suspected staphylococcal infections. Fusospirochetosis( Vincent's gingivitis and pharyngitis)-Mild to moderately severe infections of the oropharynx usually respond to therapy with oral penicillin. Note; Necessary dental care should be accomplished in infections involving the gum tissue. Medical conditions in which oral penicillin therapy is indicated as prophylaxis: For the prevention of recurrence following rheumatic fever and/or chorea-Prophylaxis with oral penicillin on a continuing basis has proven bacterial endocarditis in patients with congenital and/or rheumatic heart lesions who are to undergo dental procedures or minor upper respiratory tract surgery or instrumentation. Prophylaxis should be instituted on the day of the procedure and for 2 or more days following. Patients who have a past history of rheumatic fever and are receiving continuous prophylaxis may harbour increased numbers of penicillin-resistant organisms; use of another prophylactic anti-infective agent should be considered. If penicillin is to be used in these patients at surgery, penicillin may be re-instituted as a prophylactic measure against the hazards of surgically induced bacteraemia. Note: Oral penicillin should not be used as a adjunctive prophylaxis for genito-urinary instrumentation or surgery, lower intestinal tract surgery, sigmoidoscopy and complications of childbirth. 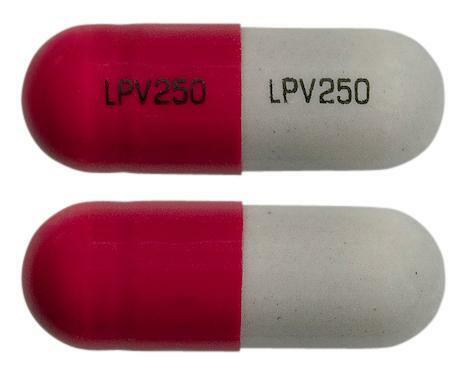 Capsules with a opaque red cap and opaque grey body printed with "LPV250" in black ink on cap and body. Absorption is increased when taken on an empty stomach (one hour before or two hours after meals). Penicilin V potassium is indicated in the treatment of mild to moderately severe infections due to penicillin V sensitive micro-organisms. Therapy should be guided by bacteriological studies (including sensitivity tests) and by clinical response. Note: Severe pneumonia, empyema, bacteraemia, pericarditis, meningitis and arthritis should not be treated with penicillin V during the acute stage. Indicated surgical procedures should be performed. 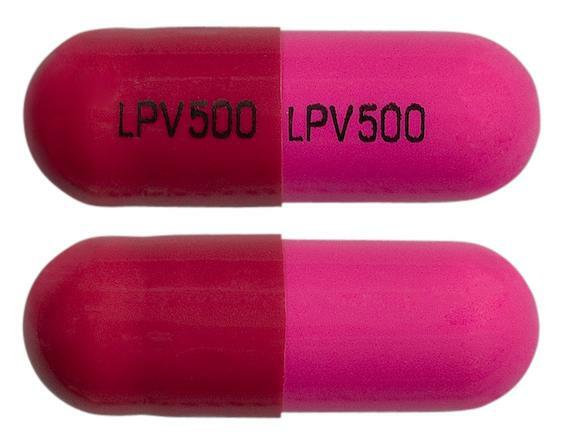 Capsules with a red opaque top and pink body; bothprinted with "LPV500" in black ink. Achieving and maintaining high levels of medication adherence are required to realise the full benefits of antiretroviral therapy (ART). We identified four studies that evaluated interventions designed to improve adherence to ART among children and adolescents age 18 years and younger. These studies showed that home-based nursing, peer support for adolescents and LPV/r-containing regimens have the potential to improve ART adherence, but more evidence is needed. Medication diaries do not appear to have an effect on adherence. There is a need for well-designed evaluations of interventions to improve paediatric adherence to ART. Children under 3 years of age who have HIV infection have a high risk of dying without antiretroviral therapy (ART). However, treatment in this age group is challenging because there are high levels of virus in the blood and few suitable drug choices. Results from this systematic review show that ART soon after birth is preferable to delaying treatment, because infants are less likely to die or become sick. Starting a first-line treatment regimen that includes lopinavir/ritonavir rather than nevirapine is preferable, because infants and young children are less likely to have to stop treatment, whether or not they had previously been exposed to nevirapine. However, lopinavir/ritonavir is more expensive than nevirapine. It is also currently only available as an inconvenient liquid, which tastes bitter and has to be refrigerated, making it challenging to implement in all parts of the world. While waiting for better formulations to become available, it may be possible to switch from lopinavir/ritonavir to nevirapine once the HIV virus levels become undetectable. However, based on the evidence currently available, a viral load test would be required to identify those children who could safely substitute lopinavir/ritonavir with nevirapine. Viral loads are expensive and not widely available in most countries in sub-Saharan Africa. An alternative treatment approach is to give a stronger drug combination (four different drugs together) when treatment is first started, then reduce down to three drugs after a short while. However, this strategy did not appear to have long-term benefits. A 'treatment interruption' strategy, in which infants start ART soon after birth but then stop medication after 1-2 years, is difficult to implement. Children stopping ART need to restart it very quickly to prevent them becoming sick, and monitoring a child off treatment is challenging in settings with few resources.